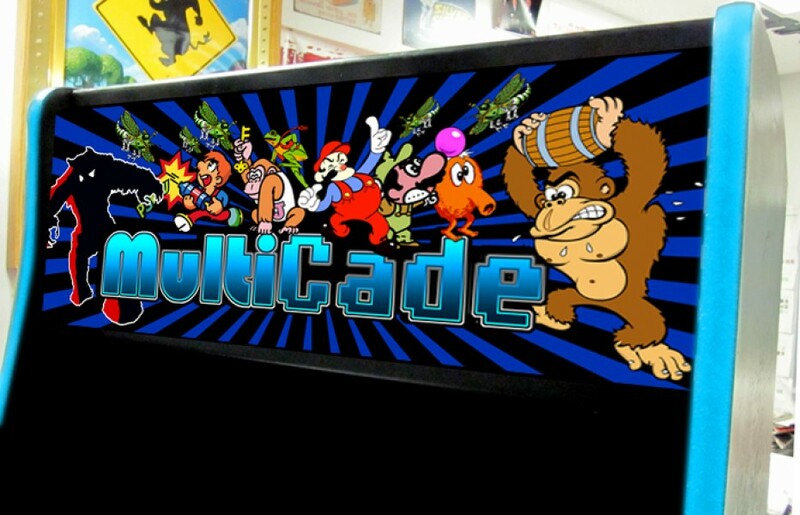 Just about everyone who owns one or more arcade games would love to have a copy of their game(s) in mint condition. When you can’t make that happen, the next best thing is a true-to-original restoration. If you’re lucky, you’re good at doing your own repairs or finding great people to print, fabricate and paint new parts for you. For the rest of us, finding NOS (new old stock) parts is vital to see our goals through. Originally, I accepted my game the way it was. I loved playing it and I didn’t care that it was a bit faded and had some scratches. In fact, all of these “flaws” gives each game a special charm. 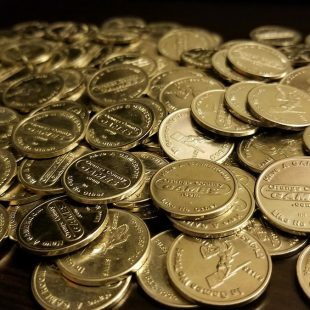 Just knowing that for years, thousands of kids and adults got enjoyment from these games and now you own it is just part of the fun. But now, I would like my games to be showcase pieces. But enough with the nostalgic sentiment! 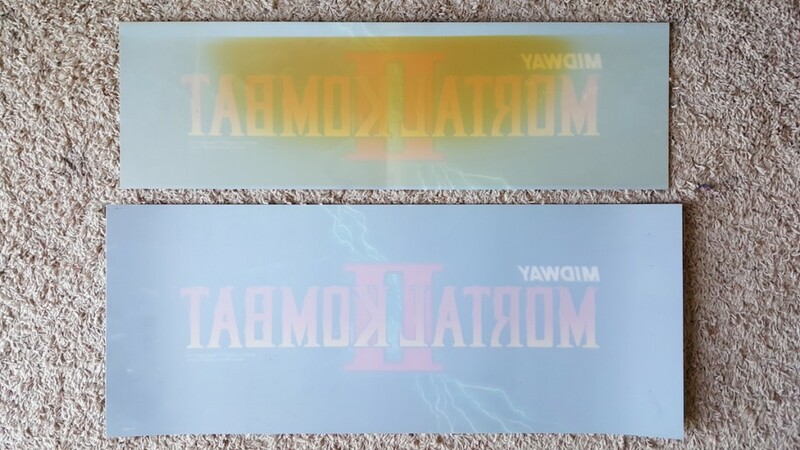 I just wanted to post these two photos to show the difference between an old worn out marquee versus a NOS marquee. 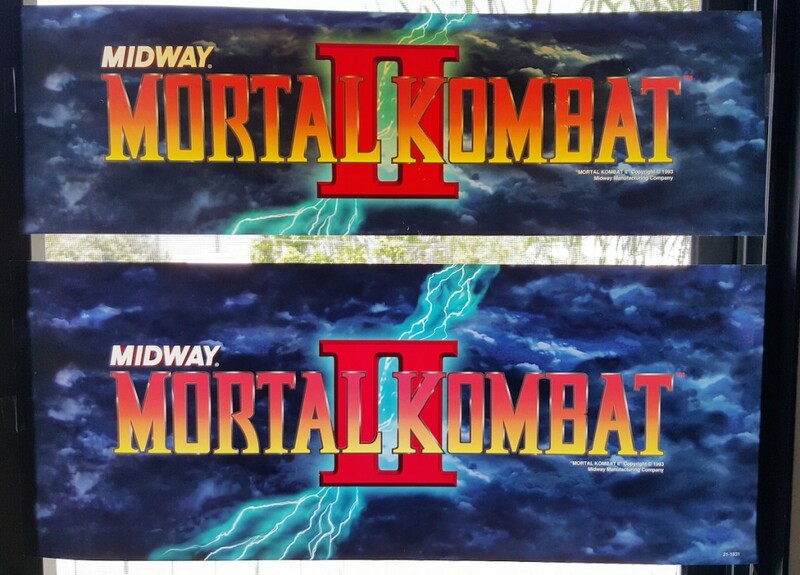 Until I saw this comparison, I always thought my Mortal Kombat II marquee looked pretty good. With the NOS marquee I found on eBay, I was pleasantly surprised that now my arcade machine will be showcasing a marquee with the same pop and vibrancy as the new machines did all the way back in 1993. When time permits, my next project will be to replace the original fluorescent light fixture with new LED lights. While I know this plan would break a purist’s heart, I’d like to protect my game as much as possible. Plus with the LEDs, I can place a few light strips covering the entire marquee surface whereas the current light is just one bulb which causes the outer and lower areas of the marquee to be more dim then the center. Just take a look at that yellow burn mark to see where the concentration of light is. That project is for another day. For now, good luck in your search for NOS pieces! P.S. – If you’re wondering why the NOS marquee is larger than the original, it’s because this Midway part was created for replacements and PCB kits. Since Midway wasn’t sure what size cabinets these marquess might end up in, they produced a marquee of the same proportions, but with more artwork so the operator can custom cut the marquee to fit in their application. I have the same problem, but I’m also missing the original brackets. I know there’s a way to find them, but I can’t seem to. If you do know where I can buy them, I’d appreciate a link to it. Thanks for the heads up on the marquee.